In Gear! Cedarwood Spice Cologne Home | About Us | Opportunities | Sponsorships | Contact Us! 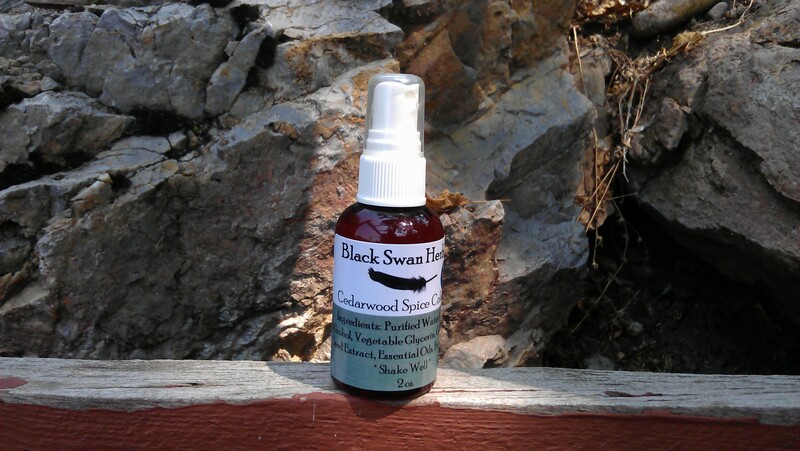 This week we had the pleasure of experiencing ‘Cedarwood Spice Cologne’ made by hand at the Black Swan Herbals shop in Montana. We’re huge fans of all natural and small batch cologne, and love the idea of a spray bottle product that’s easy to take along wherever life takes you. An all natural cologne gives you a signature scent that gets attention while keeping it grounded, earthy, and ‘real’ at the same time. Most men who experience an all natural handmade cologne are immediately converted – and we’re going to tell you why! You have a choice when it comes to cologne – manufactured or hand made – and the difference between the two is shocking! Many mass-produced colognes and perfumes utilize synthetic versions of natural scents, chemicals, and preservatives that end up right on the most delicate parts of your skin. Sound like a good idea to you? We don’t think so either. The good news is that when you choose an all-natural, handmade, small batch alternative you will often pay less, get more, and end up with a truly complex and attention-grabbing scent. In addition, you’ll be supporting artisans, small business, and innovation! 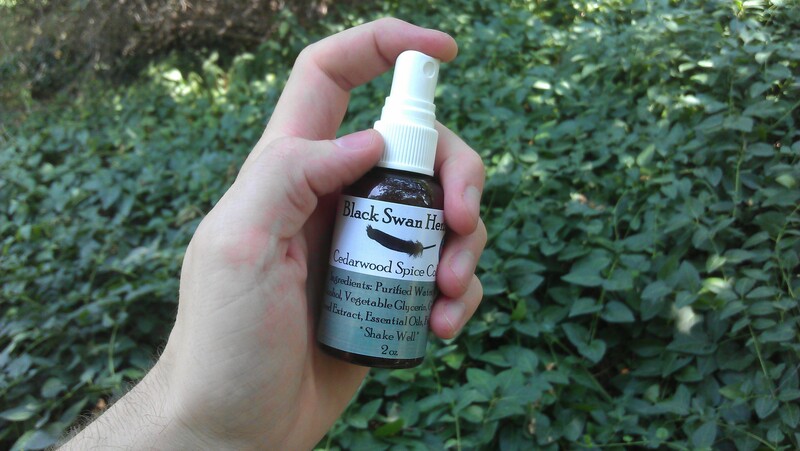 ‘Cedarwood Spice’ is one of the most perfectly balanced yet complex scents we’ve encountered from an artisan shop. The cologne stands up to the name in that the first scents you experience are a grounded cedarwood, then a kick of natural spice. The surprise is hidden just underneath these two traditional masculine scents where you get a little citrus that lightens it up and adds a clean smell to it all. Essential oils as well as grapefruit seed extract make the magic happen, and you’ll have a fun time trying to put your finger on the various layers of scent that emerge as you spray on this great handmade cologne! Cedar, Spice, And A Hint Of Clean Citrus! 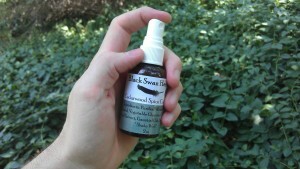 Black Swan Herbals has made it unbelievably simple to use this cologne. It comes packaged in a tough spray bottle that’s the perfect size. It fits perfectly on a bathroom shelf or in a gym bag, so it can go wherever you need it. The spray comes out in a fine mist, so you can use one pump as an ‘all over’ application, then hit important zones like your neck and forearms. Keep in mind that true essential oils are used here – so keep this amazing cologne on your skin and away from your eyes, mouth, and other sensitive areas. >>> Do You Smell Something? Yep. That’s the smell of success! 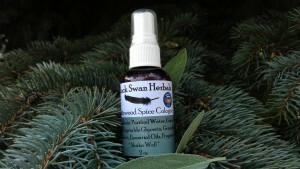 We voted the Cedarwood Spice Cologne from Black Swan Herbals a unanimous win! Everyone in the studio loved the scent, how long it lasted, and how it worked perfectly with their own personal fragrance without being overpowering or ‘fake’ smelling. The bottle size is perfect and is sure to last a long time. Go get some! 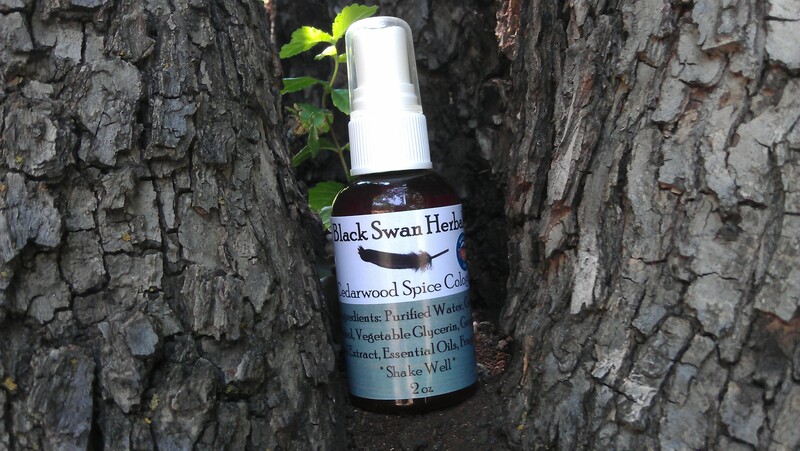 The price will amaze you, the service you get from Black Swan Herbals will please you, and the quick shipping will keep you coming back for more. While you’re picking up your cologne, check out the other great products they have including lotions, lip balms, and amazingly scented room sprays. Tagged Black Swan Herbals, Cedarwood Spice Cologne, Cologne, Handmade Cologne, handmade men, in gear, review. Bookmark the permalink. Would love this for the hubby. i would love my husband to try it.